The #2minutebeachclean project, created by Martin Dorey, encourages everyone to join the growing movement of people, reducing marine litter 2 minutes at a time. We are thrilled to be part of this inspiring initiative and we have installed 8 beach clean stations across Dorset, making it easier and more accessible for anyone to help keep beaches litter free. The idea is simple. Next time you visit the beach, whether you are going for a swim or walking the dog, it’s easy to make time for a short beach clean. Using one of the #2minutebeachclean stations, you can borrow litter pickers, grab a bag and pick up a few bits of marine litter and put it in a bin at the beach or take home to recycle. Then, when you are done, take a picture of your marine litter haul on your phone (or make something crafty with it) and post it to Twitter or Instagram using the #2minutebeachclean #dorset hashtags together. 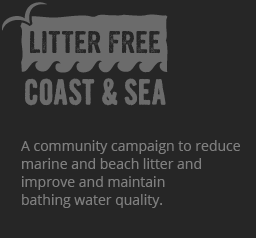 It’s something everyone can get involved in and, with just 2 minutes, it will protect our coast and sea for all to enjoy.